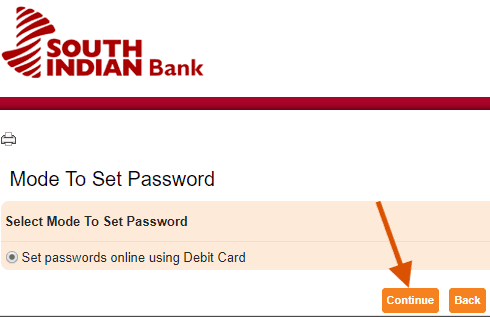 Do you have an account with South Indian Bank? Do you have access to the advanced banking facilities? With the advancements in technology, different superior banking facilities introduced with an aim to satisfy the account holders with the convenient banking features. One of the advanced banking facilities is Net Banking. Via Internet banking, you can remain updated with your account and successfully make cashless transactions without visiting the branch or ATM. You need to activate or get registered for SIB Net banking services. You need not visit the branch for activation! 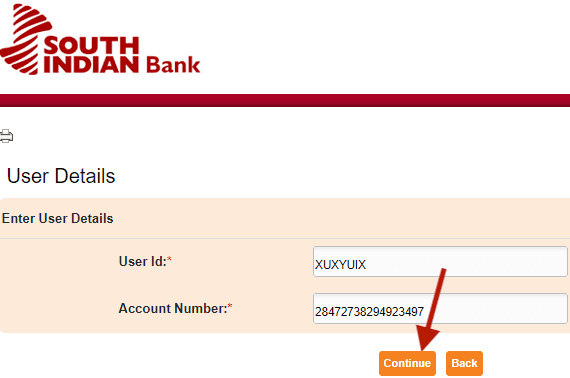 You can complete South Indian Bank Net Banking registration and activation online. You need a computer or laptop with internet connection, and you can quickly register following simple steps. Step 1: Open the web browser and visit https://www.southindianbank.com. 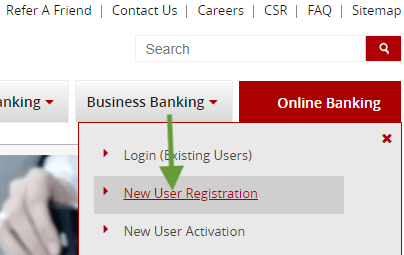 Move the Mouse Cursor to Online Banking Tab and select New User Registration. Step 2: You will get directed to the CRAYONS page that contains detailed info about online registration. Click on Continue to Register button. Step 3: You will get directed to Internet Banking Request page where you need to provide account holder's details. Enter 16 Digit SIB Account Number, Mobile Number registered with the account, and E-mail ID is optional. 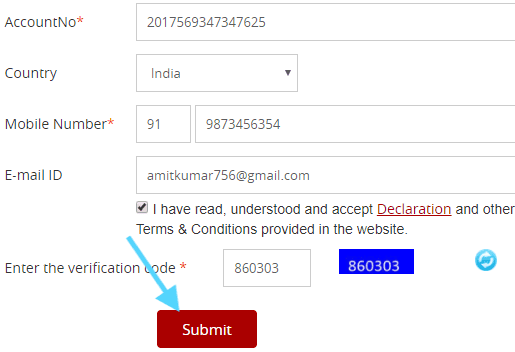 Tick mark on 'I have read, understood and accept Declaration and other Terms and Conditions' provided on the Website. You need to enter the verification code in the box from the image. Click on Submit button. Step 4: You will receive an OTP on the registered mobile number, and you need to enter the OTP in the provided box to continue ahead. After entering the OTP click on Submit button. Important Note: The Net Banking User ID will be forwarded by the bank to the registered mobile number and Email ID within 24 hours. Step 5: Visit the South Indian Banks official net banking login page and Select New User Activation link. Step 6: By default, the Password set mode will display on the screen. Now you need to Set Passwords online using Debit Card and Click on Continue. Step 7: Enter the User ID that you received from the bank on the mobile number and Email ID. Enter the 16 Digit account number and click on Continue button. Step 8: Now you need to enter the ATM Card Number, PIN Number, and Expiry Date. Enter the ATM card details in the provided boxes and click on Continue button. Step 9: You will receive an OTP on your mobile number which you need to enter in the provided box. Click on Confirm button. Step 10: As per bank rules, you need to set a new Login and Transaction Password. Click on Continue to complete the process of Password creation. Net Banking facility for your account will get activated. Use the User ID and new Password to Log In. 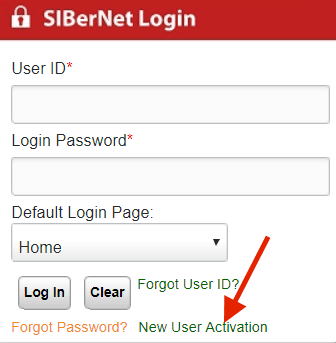 Activating SIB Net Banking facilities for any user account is easy. Make sure the mobile number provided has registered with the bank. Keep your ATM Card and Mobile phone near you as you require those for activating the Net Banking facilities. Avail Net Banking services and easily make cashless transactions. I opened south Indian bank Ltd Account in 19/19/2012. that time I don't have mobile no and email id.now I want start net banking. Please help me know what I do? I like this net banking facility. But how to active SIB net banking after completing the net banking registration process. I have three saving accounts in Indian bank I like these net banking facilities this facility save your time.